Step 1: In order to create a business page on Google+ you will need a personal Google+ page first. This is because you need a personal page to be associated with the business one, as business pages are not 'stand alone' pages. Once you've set up your personal Google+ page, you can login and click on "Create A Page." The first thing you will be asked after pressing this is to choose a category. You will need to select the one that is relevant to your business before proceeding to the next step. Step 2: This is where you will need to personalise your page. You will be able to add your profile photo and tagline. You can then edit your page information such as the introduction, links to your other social media accounts, photos of your business and the location and more. If you have a local business page, your basic information (address, phone number, website, and business hours) will show prominently at the top of your page. Unlike other page types, when you create a local business page, you may have to verify your page. This verification can take up to a couple of weeks if you have to wait for Google to mail a postcard to your business address. Step 3: Once you're happy with how it looks and the information displayed, it's time to get some followers and begin following people. Google+ has a facility called "Circles" where you can add people into your Circle such as "Business Connections Circle," or "Client Circle" etc. Step 4: Get posting. Add information and images to your posts, make them engaging, interesting and industry relevant. Circles are how you organise the pages and profiles you are following on Google+. 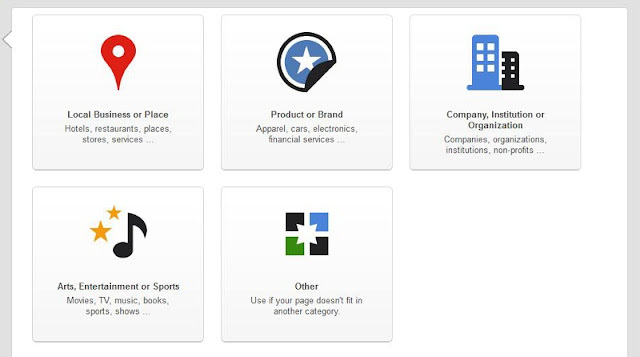 Pages come with four default circles: following, customers, VIPs, and team members. You can add more circles to better organise the pages and profiles you follow. People who have added your pages or profile in their circles. Pages and profiles come with default tabs. These include about, posts, photos, videos, YouTube, +1s (profiles only), and reviews. The equivalent of liking a post on Google+. You can create video chat rooms with up to 10 people using Hangouts. We hope that helps! If you have any questions or are interested in having your Google+ page created for you, contact us today.